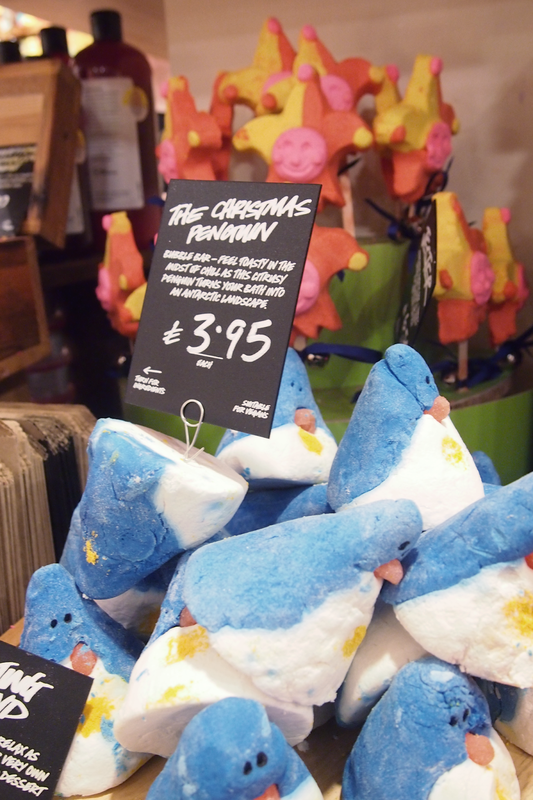 On Friday night, I was kindly invited by the lovely ladies at Lush Worcester to attend their Christmas launch. 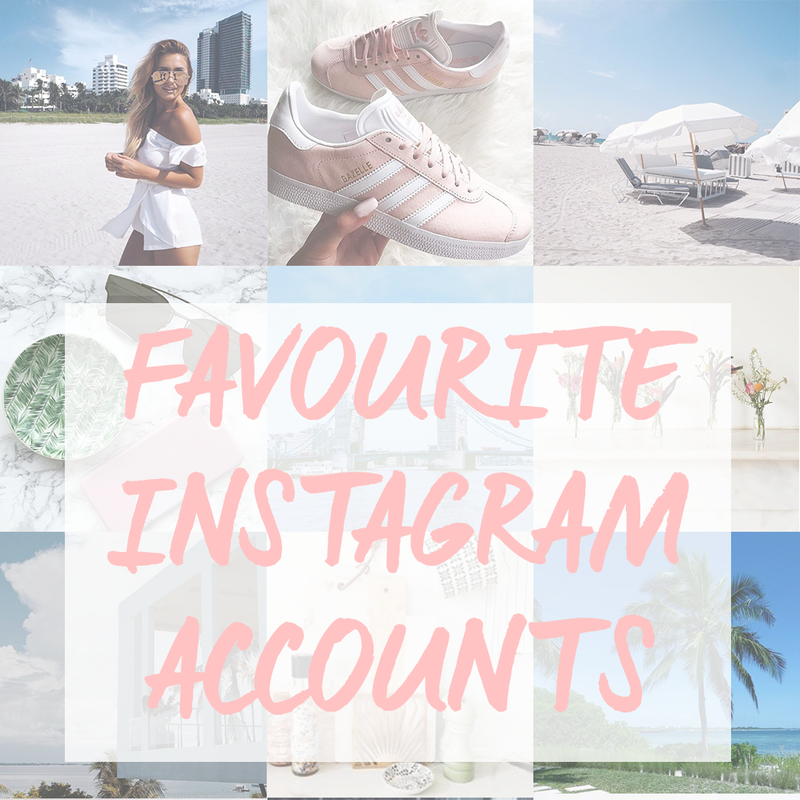 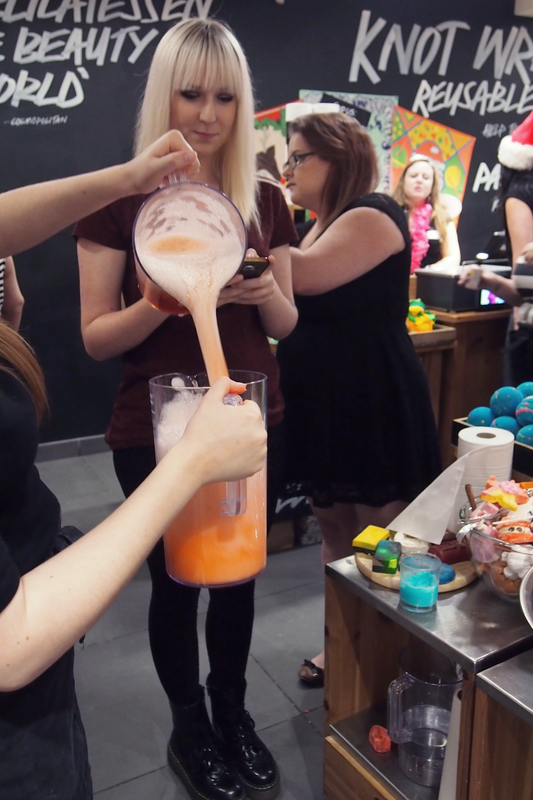 I had such a lovely time looking at all the new products (and the return of some old favourites), whilst having some drinks, nibbles and demos of the new collection. 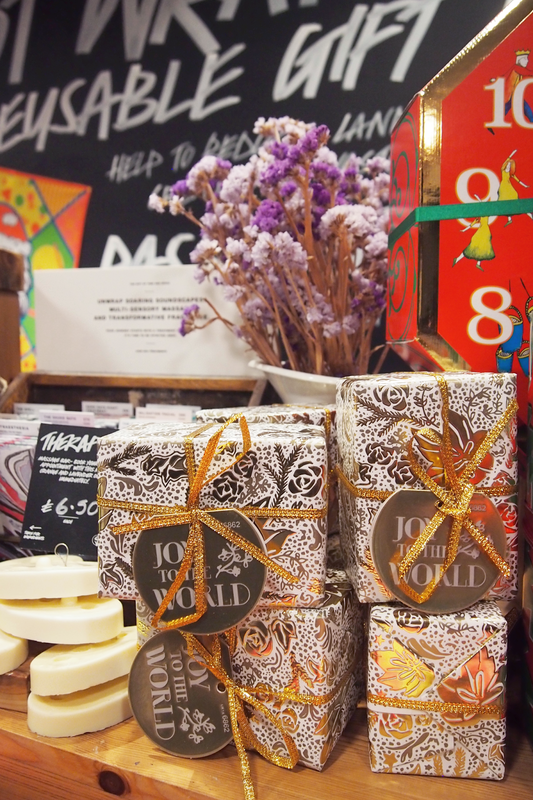 Obviously I couldn't leave without taking some pictures of the products, to say a took a "few" is a huge understatement! 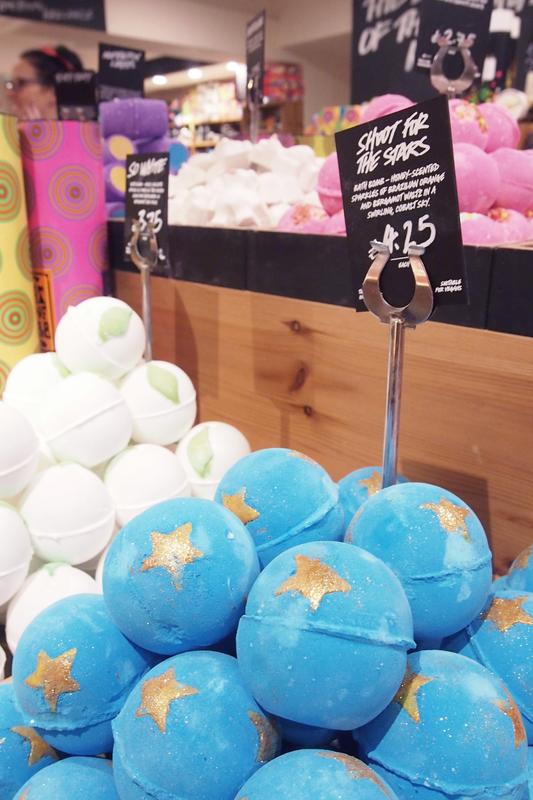 Shoot for the Stars, Mistletoe, So White, Luxury Lush, Never Mind the Ballistics, Stardust, Golden Wonder, Northern Lights, and Father Christmas are all on the menu for Christmas this year, whew! 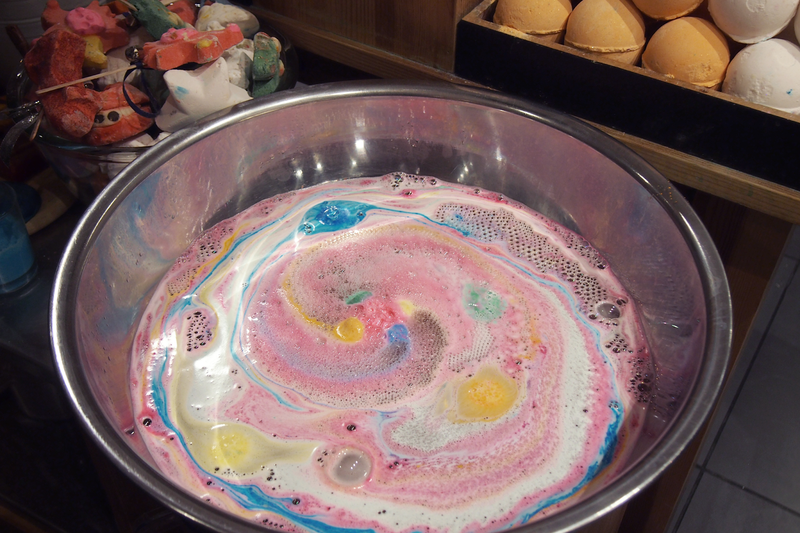 I think Northern Lights is my favourite pick out of the Christmas bath bombs, which I believe was actually out a few years ago along with another similar product (cannot remember the names for the life of me!). 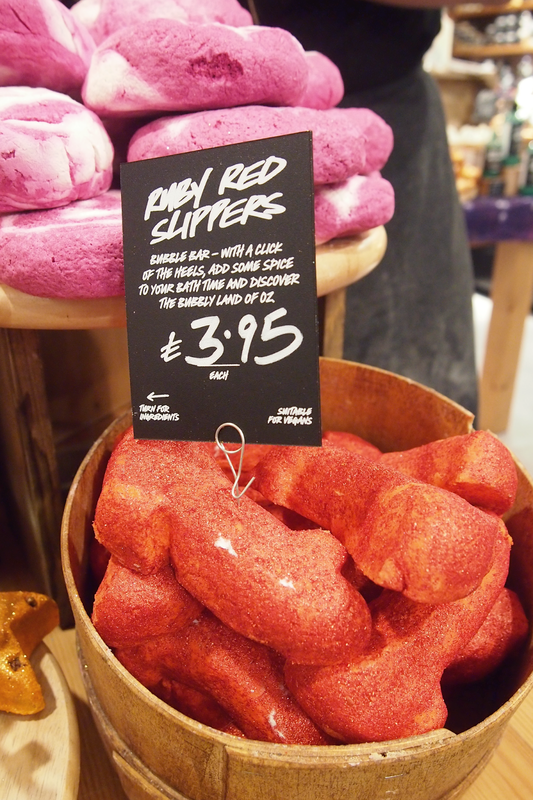 It has a really gorgeous jasmine and ylang ylang scent which I find incredibly relaxing, and it creates a super colourful bath. 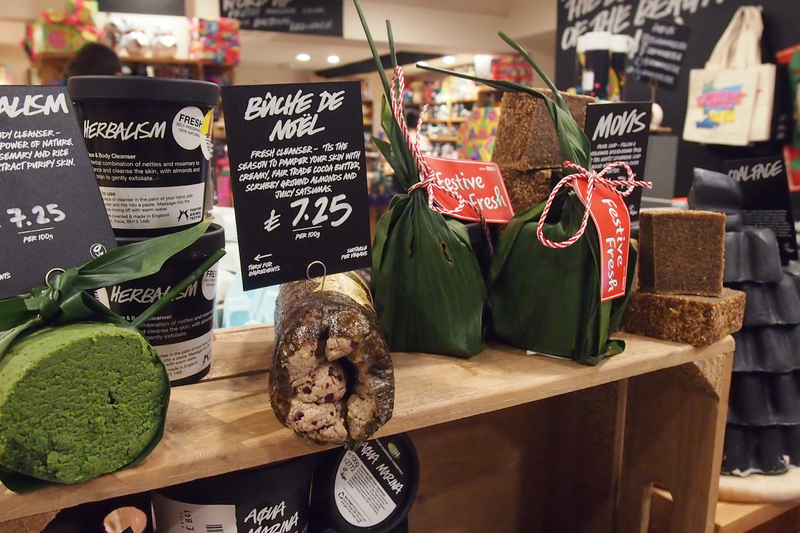 One of the most unique products I saw on the night was the Festive Fresh - wrapped inside corn leaves you'll find a tub of Bûche De Noël and Let the Good Times Roll, such a fun gift for someone that loves a good scrub. 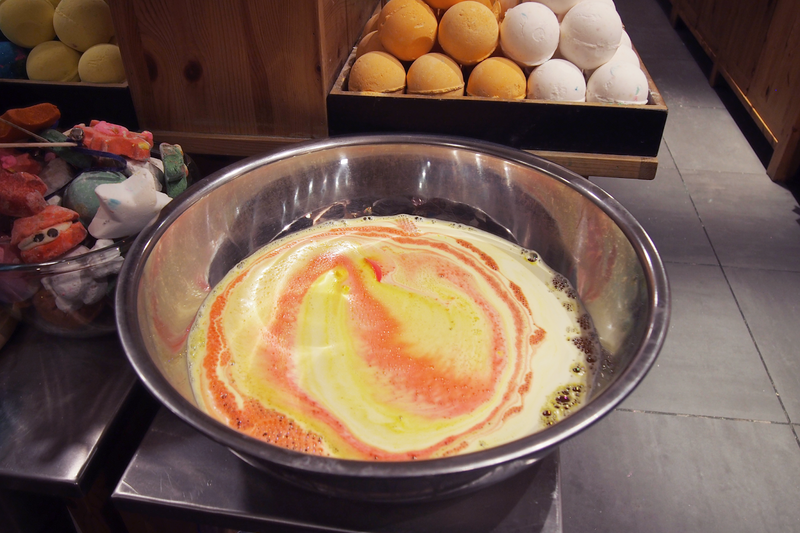 My favourite soap from last year is unfortunately no more, but has fortunately been reinvented into a roulade. 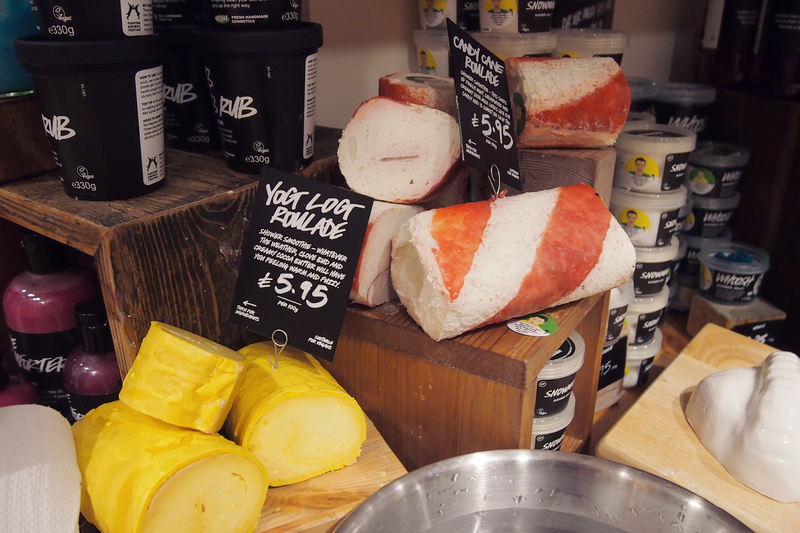 Yog Log Roulade has the same toffee scent that I love and is now really easy to use in the shower, leaving your skin soft and nourished. 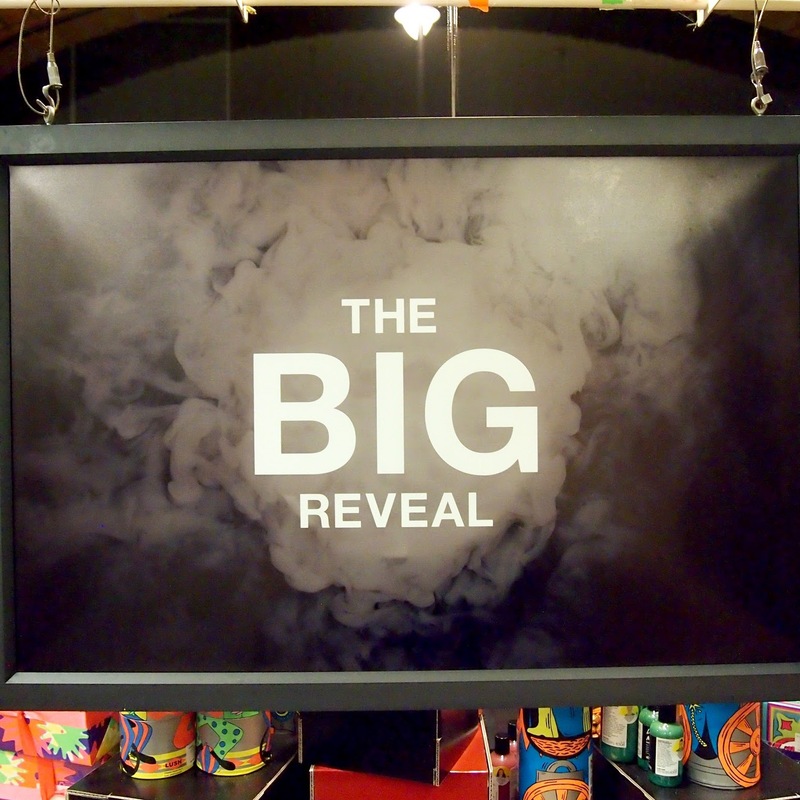 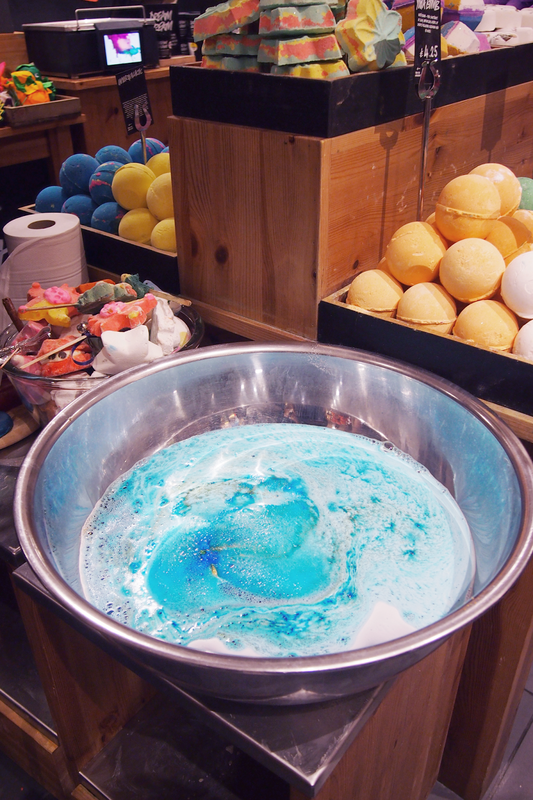 Talking of soap, they're back and bigger than ever. 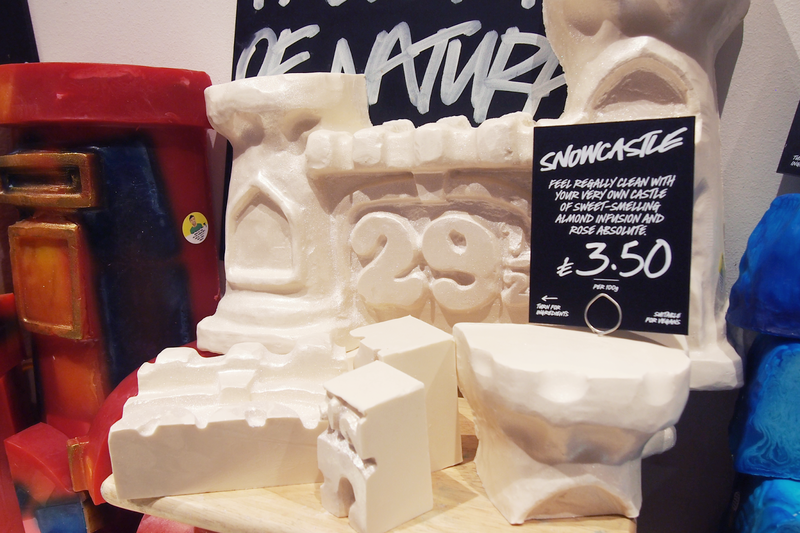 Snowcake has been transformed into the master piece that is Snowcastle, ain't it gorgeous? 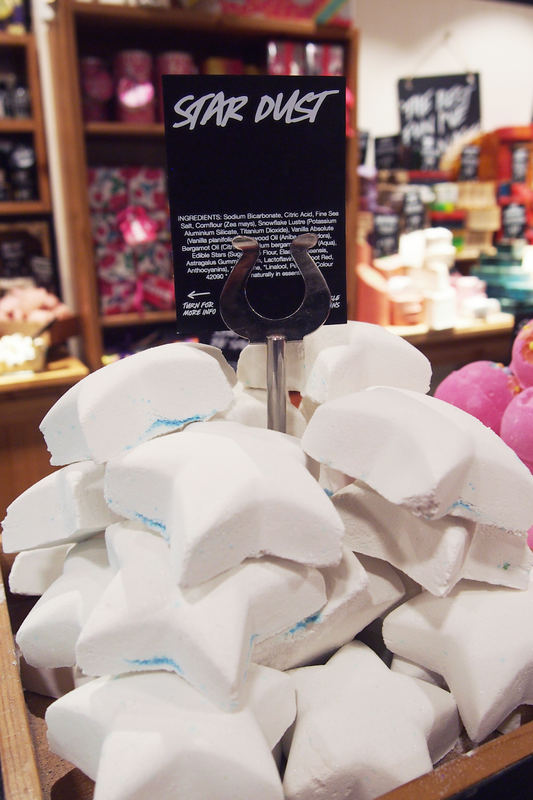 Reindeer Rock is also back but is now sold in cute little bars all ready for your use and is blue rather than purple! 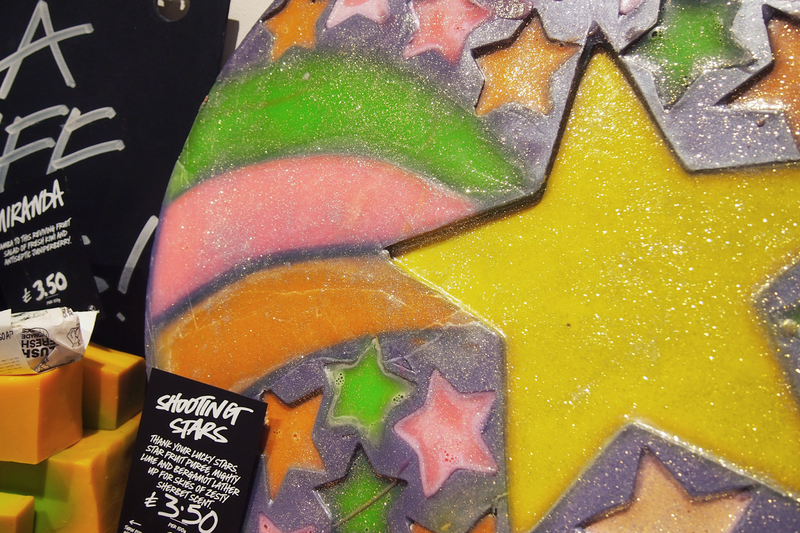 Lush also have Shooting Stars, Baked Alaska, Igloo and Santa's Postbox. 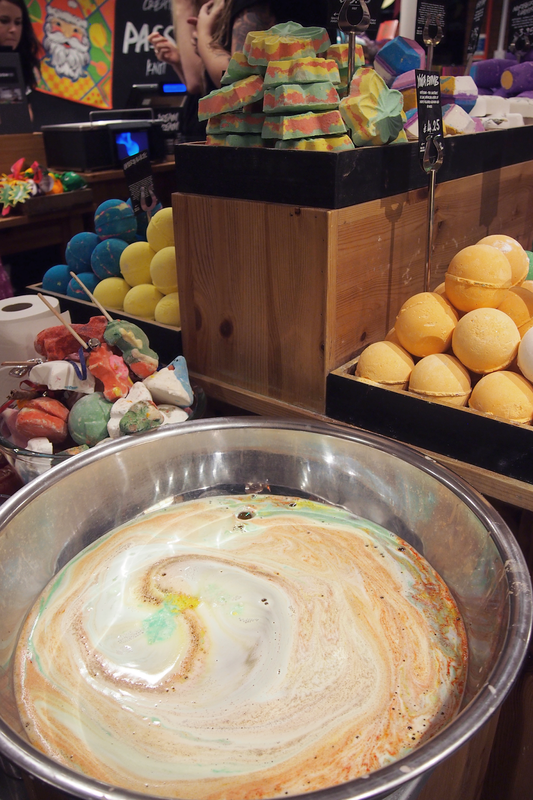 Side note: there were miniature versions of all the giant soaps for demo purposes and they were so goddamn cute. 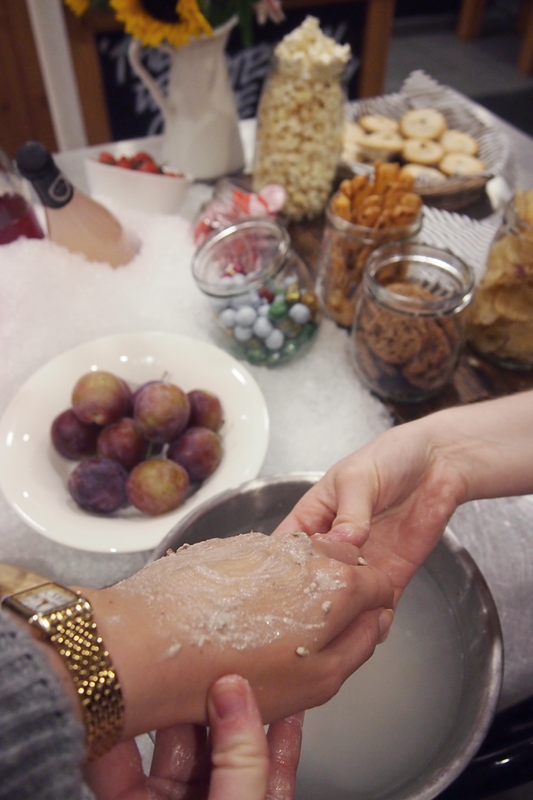 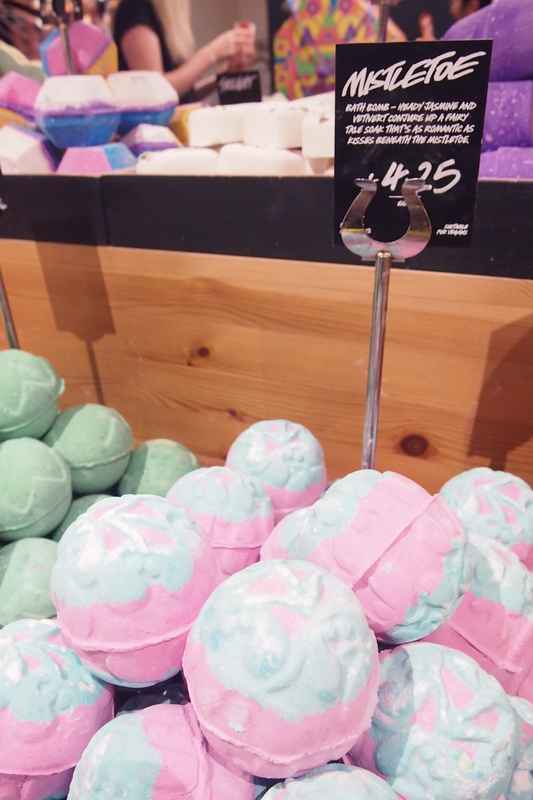 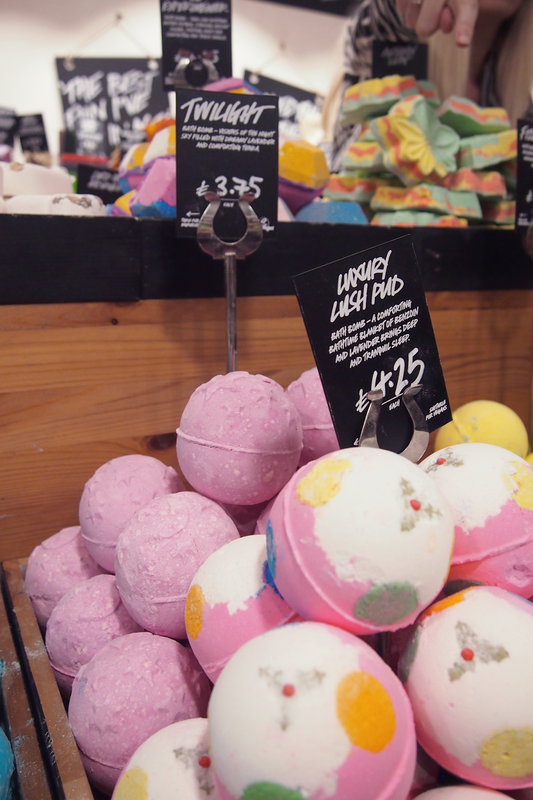 If you enjoy the reusable bubble bars, you'll be extra happy this year. 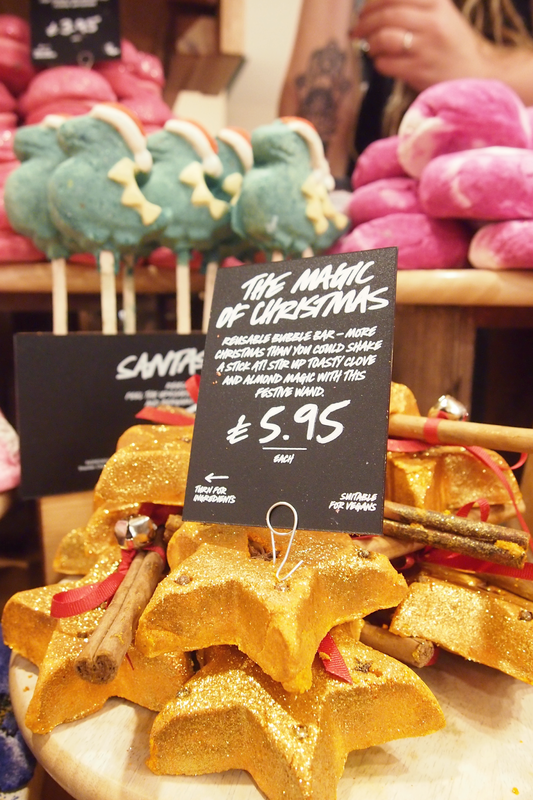 With the return of The Magic of Christmas and Magic Wand comes two new reusable Bubble Bars: Jester and Santasaurus. 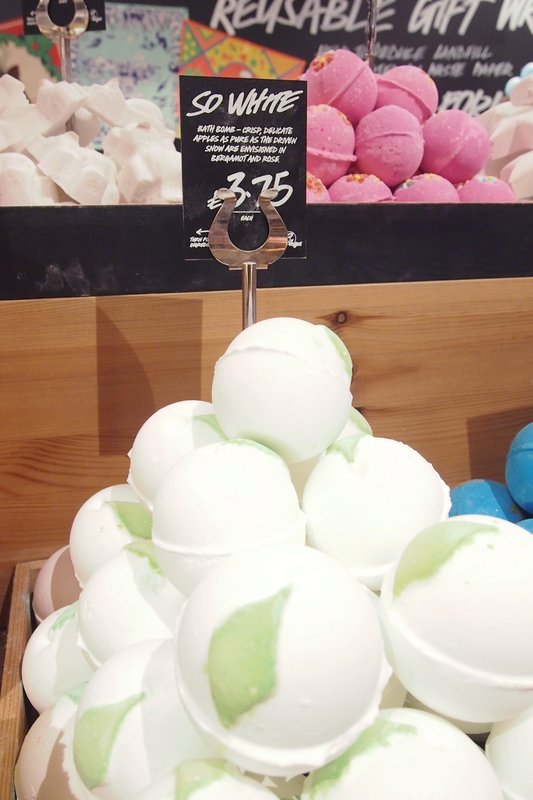 Jester is a really fun one for kids, it has a citrus scent with Sicilian Mandarin Oil, Tangerine Oil and Bergamot Oil - all really uplifting and refreshing. 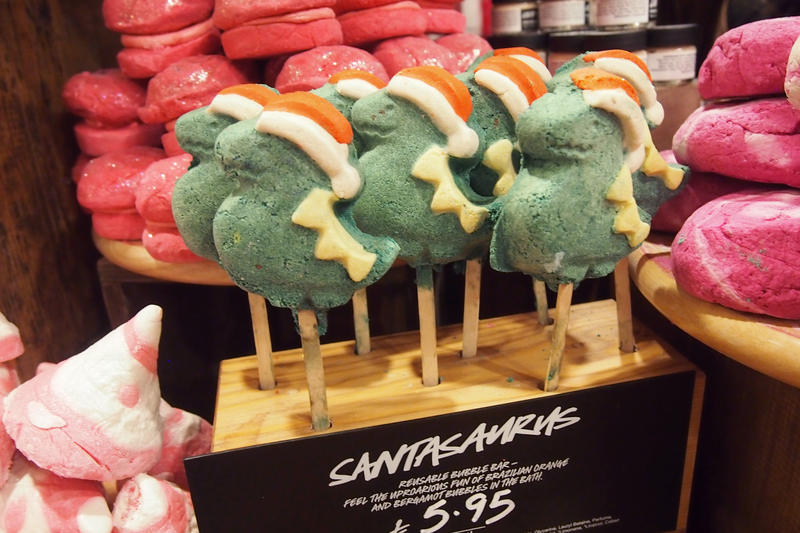 Santasaurus is another great one for the kids, and again has a gorgeously fresh citrus scent. 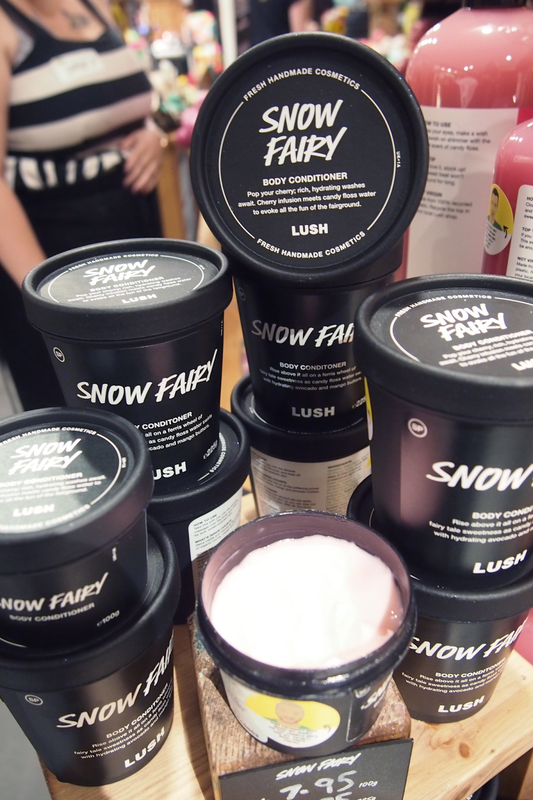 Onto the event you've all been waiting for... the Snow Fairy range - I know some of you guys go crazy over this smell! 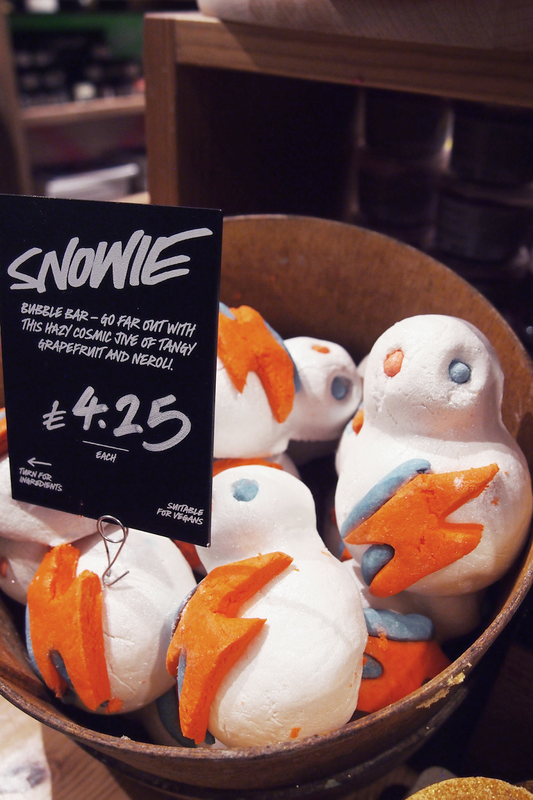 For all those Snow Fairy superfans (I know you're out there), a new product has been added to the range. 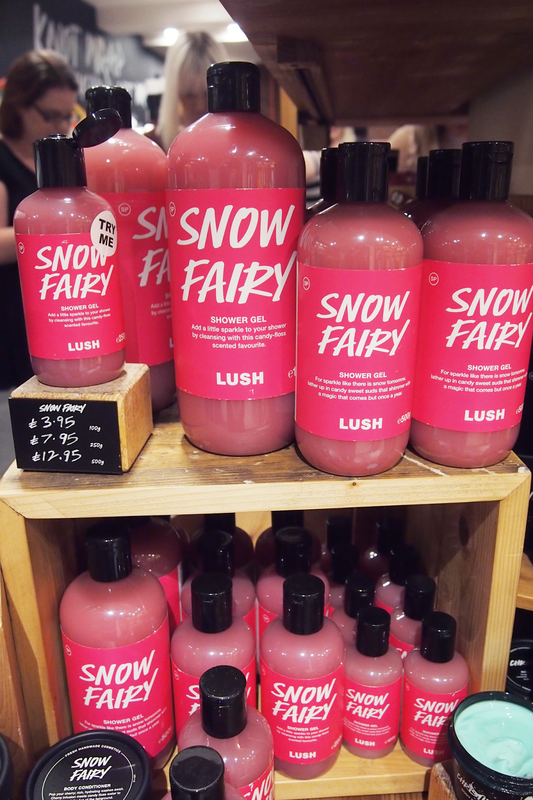 We're talking the Snow Fairy body conditioner. 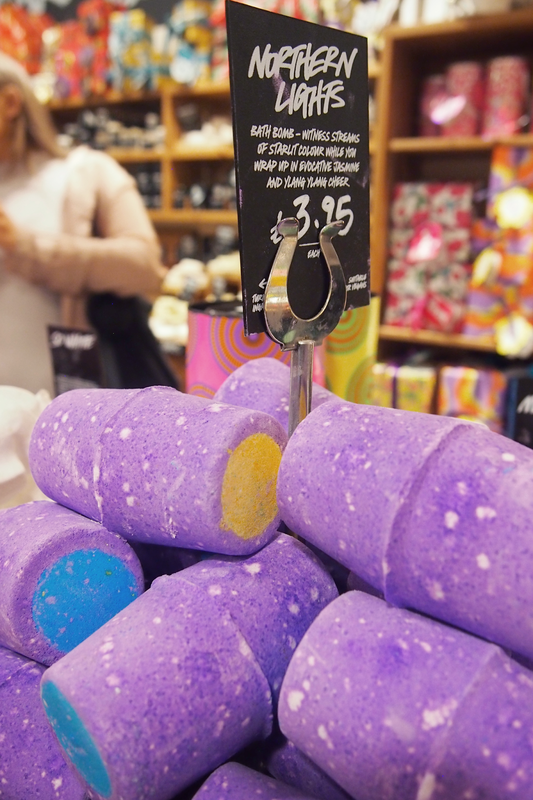 You can now add another layer of the sickly-sweet candy floss scent to your body, using this to give you that deeply moisturised and nourished skin straight out of the shower. 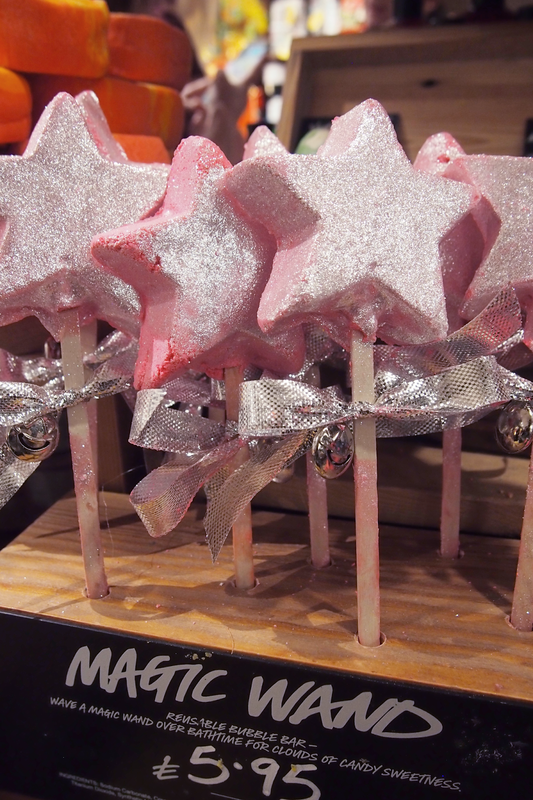 If you find you're just a bit too moisturised, you can layer up the scent even more with Fairy Dust which adds a bit of sparkle and conveniently absorbs some of that extra moisture. 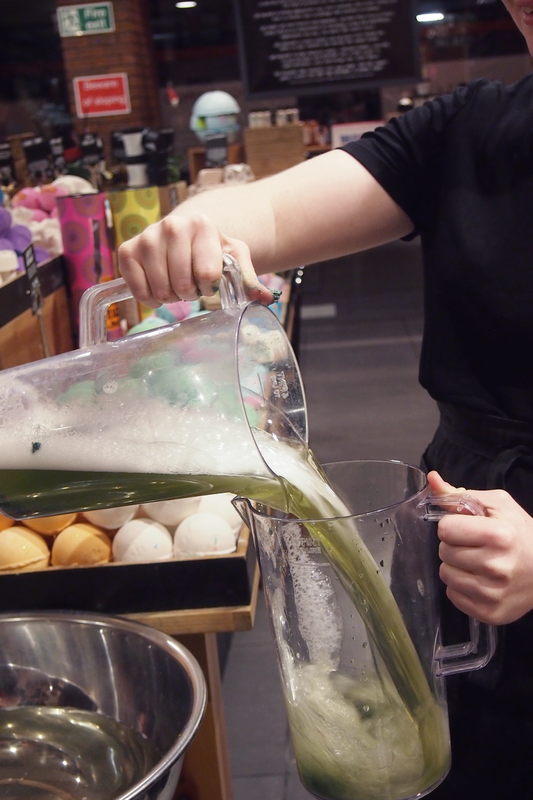 Hannah offered to give me a demo of Bûche De Noël to cleanse and exfoliate, layered with Sleepy body lotion. 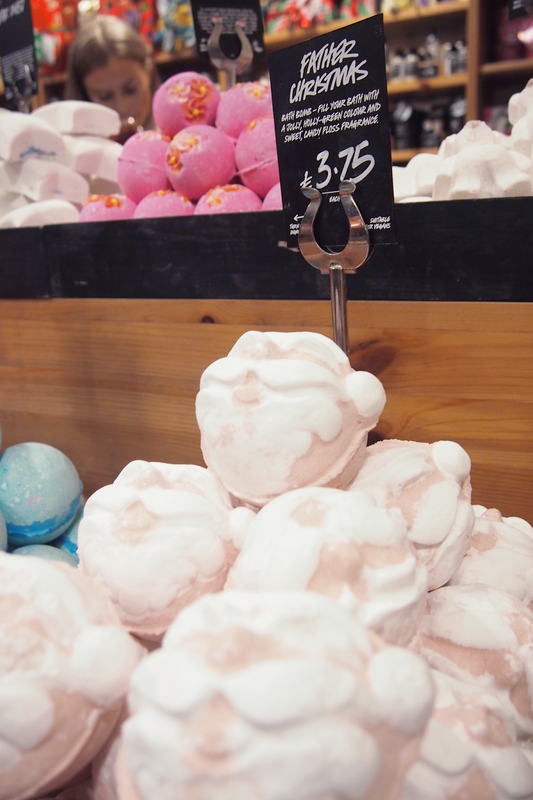 I think Sleepy has quickly become one of my favourite body lotions, as the Lavender reminds me of my Grandma and also it has a nice little sparkle to it, which I personally don't mind. 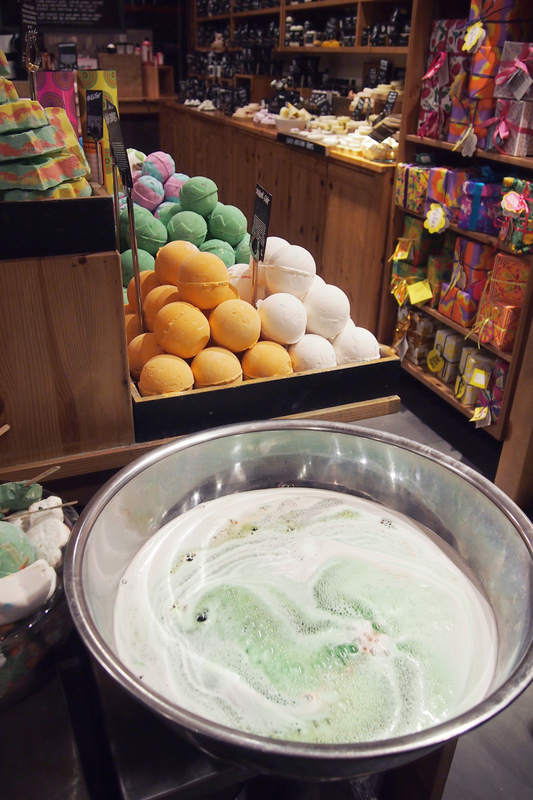 I can imagine covering yourself in Sleepy before bed will really help relax you into those deep slumbers winter is good for. 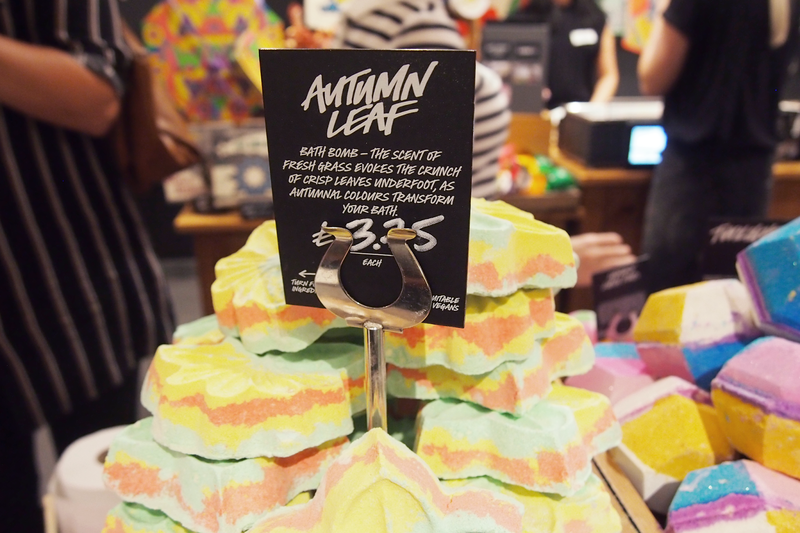 And just as a bonus, here are some pretty bath bomb demo pictures of Autumn Leaves, Father Christmas, Shoot for the Stars, Luxury Lush Pud and Never Mind the Ballistics. 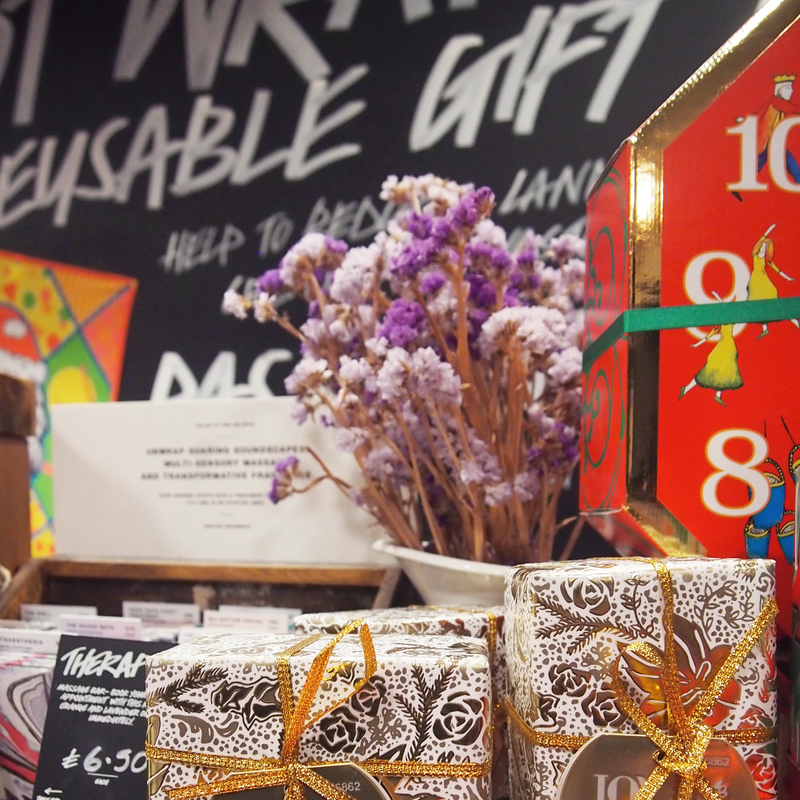 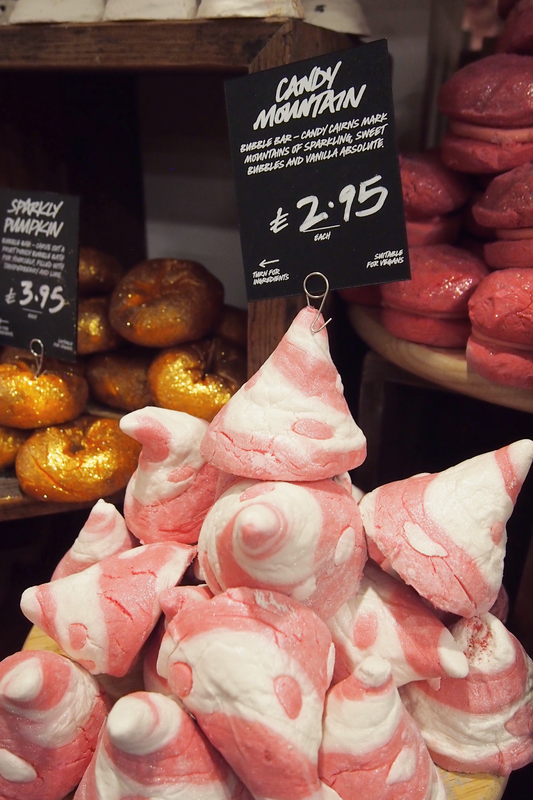 Will you be picking up any of the new Lush Christmas products?